As you go about your daily life, enjoying sports and other activities, you may give little thought to your knee. That is, until an injury or disease impacts this crucial joint. The knee is a complex part of your body comprised of bones, cartilage and ligaments. To work properly, it requires these components, as well as the muscles that support them, to work seamlessly together. The knee allows us to perform everyday movements, from walking down the street to bending to pick something up. But it's also crucial to athletes who rely on it for an effective jump shot on the basketball court or a running play on the football field. Whether you're an athlete, a sports enthusiast or someone who simply values the freedom to enjoy active hobbies, a knee injury can be a non-starter, preventing you from doing the things you love. 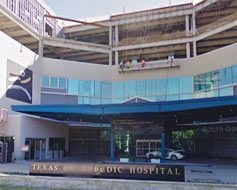 That's why Mufaddal Gombera, MD and his team make it a primary goal to help patients in Houston, Beaumont and Cypress get back on their feet by providing comprehensive orthopedic and sports medicine treatments to specifically target the root cause of any knee injury. When all these components work together properly, you have a well-functioning knee that provides stability when you move. Because the knee is essential to movement as well as crucial to a variety of sports and other activities, an injury to this joint is all the more frustrating. When you come to a sports medicine or orthopedic specialist like Dr. Gombera, their goal is to figure out the root cause of your injury. The different facets that make up the knee joint mean that the issue causing your injury could be anything from a ligament tear to a broken bone. Most athletes know right away that they've suffered a knee injury. If you're unable to engage in sports or activities without pain in your knee, it's a clear indication that something is wrong. However, other symptoms may be more subtle. Many ignore them, hoping they'll go away with time. Unfortunately, waiting can cause the knee issue to become aggravated or grow worse. That's why it's crucial to reach out to Dr. Gombera and his team as soon as you suspect a knee injury. Mufaddal Gombera, MD is not only a board-certified, fellowship-trained orthopedic surgeon, but he also specializes in the treatment of knee pain for athletes and those who enjoy an active lifestyle. He provides patients with a wide range of treatment options depending on the specific cause of their knee injury. First and foremost, he focuses on conservative treatment and non-invasive procedures, avoiding surgery whenever possible. 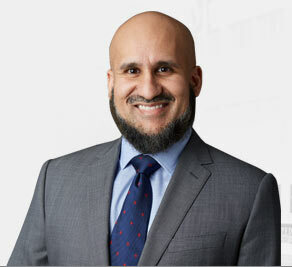 Through the use of cutting-edge techniques, he provides top-notch care that sees patients returning to optimal mobility as quickly as possible. We welcome patients throughout Houston, Beaumont and Cypress to make an appointment with Dr. Gombera. Simply fill out our online request form or call us at (713) 794-3457. The knee is made up of four bones. The femur or thighbone is the bone connecting the hip to the knee. The tibia or shinbone connects the knee to the ankle. For more information about ACL Tears, click on below tabs. Ligaments are the fibrous tissue bands connecting the bones in the joint and stabilizing the joint. The knee has four major ligaments – the anterior cruciate ligament, posterior cruciate ligament, lateral collateral ligament, and medial collateral ligament. The knee can be divided into three compartments: patellofemoral, medial and lateral compartment. The patellofemoral compartment is the compartment in the front of the knee between the knee cap and thigh bone. Articular or hyaline cartilage is the tissue lining the surface of the two bones in the knee joint. Cartilage helps the bones move smoothly against each other and can withstand the weight of the body during activities such as running and jumping. For more information about Chondral Injuries, click on below tabs. Meniscus tear is the commonest knee injury in athletes, especially those involved in contact sports. A suddenly bend or twist in your knee cause the meniscus to tear. This is a traumatic meniscus tear. 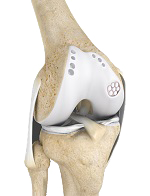 For more information about Meniscal Surgery, click on below tabs. For more information about Advanced Cartilage Restoration, click on below tabs. The anterior cruciate ligament, or ACL, is one of the major ligaments of the knee that is located in the middle of the knee and runs from the femur (thigh bone) to the tibia (shin bone). When this ligament tears, it does not heal by itself and often leads to the feeling of instability in the knee. For more information about Revision ACL reconstruction, click on below tabs. The anterior cruciate ligament (ACL) is a ligament that provides stability to the knee joint. It is commonly injured during high-intensity sports. For more information about ACL Reconstruction with a Bone-Patellar Tendon-Bone (BPTB) Graft , click on below tabs. Medial patello-femoral ligament (MPFL) reconstruction is the most commonly used Patellofemoral stabilization procedure. Medial patellofemoral ligament reconstruction is a surgical procedure indicated in patients with more severe patellar instability. For more information about Patellofemoral Stabilization, click on below tabs. For more information about stem cells for knee pain, click on below tabs.